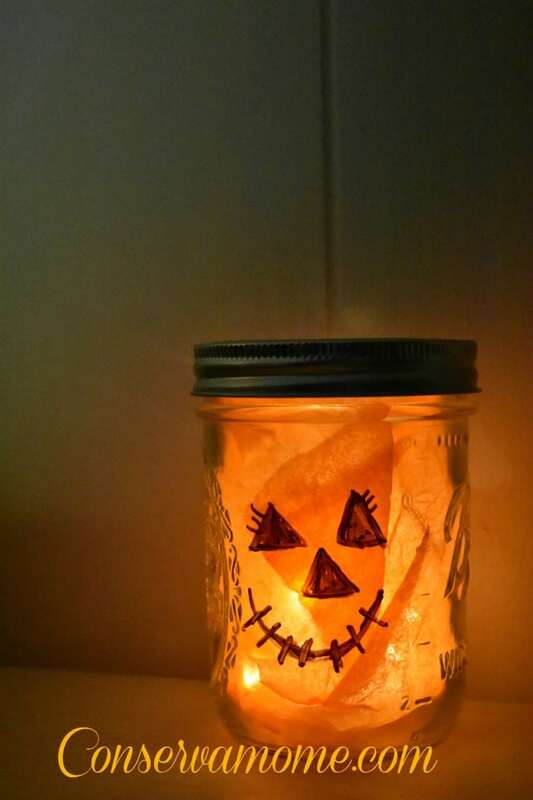 This easy Fall Lantern tutorial will be the perfect addition to any Fall or Halloween decor. I teamed up with Sharpie Markers to create some Fall fun. I love adore fall. It’s that time of year where everything is full of gorgeous colors, smells and the weather is absolutely gorgeous. Because this time of year is so amazing, finding things that inspire me is a breeze. 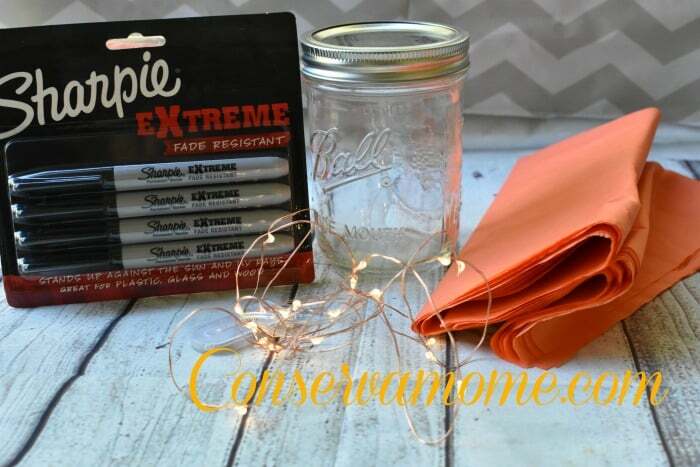 You can take simple materials you find in your home and help bring fall fun to your home or office. 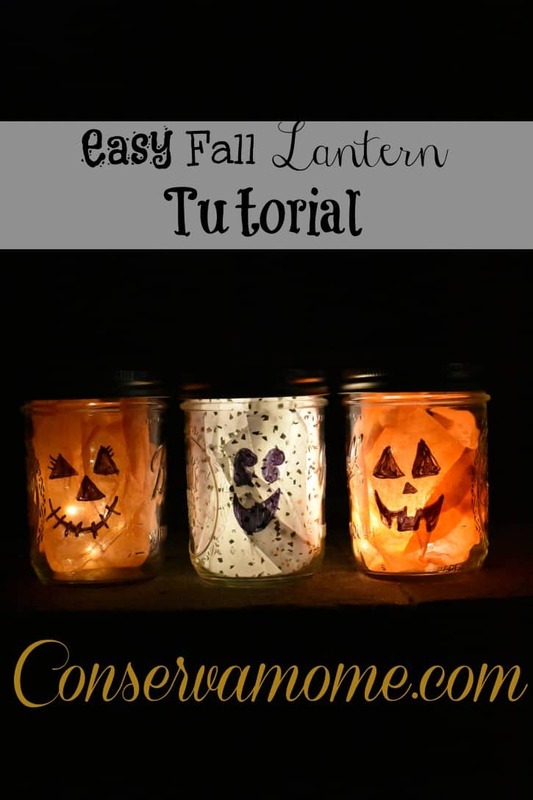 Thankfully many of the crafts you can make are as simple as my Easy Fall Lantern Tutorial below. All you need is a little creativity and in this case some Extreme Fade Resistant Sharpie Markers. 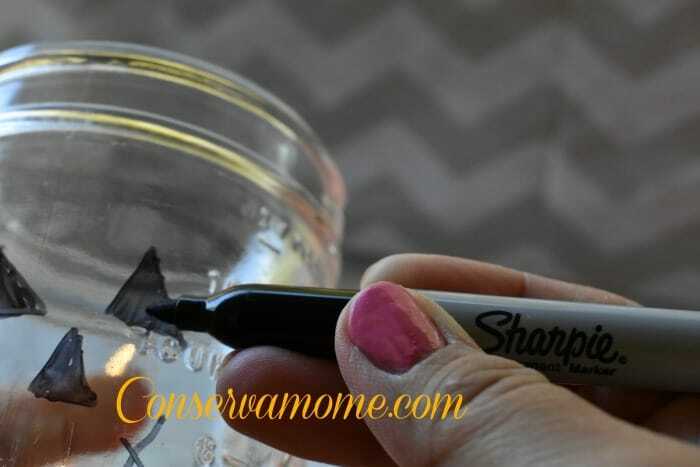 This is a very simple project to complete and all you really need is a steady hand to draw some fun faces on your mason jar. 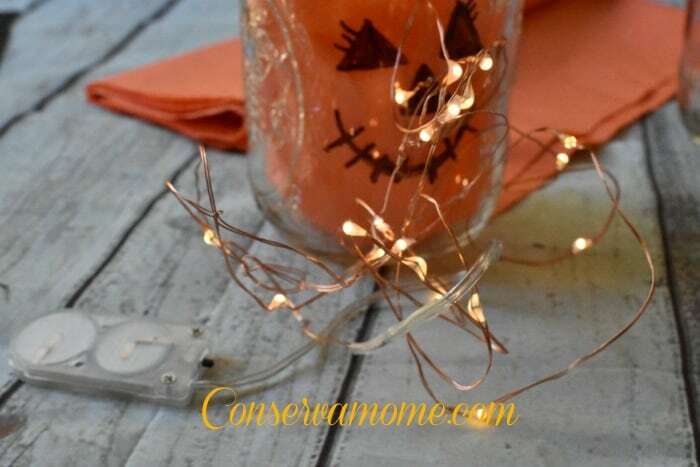 You can go with some ghosts, scarecrows or even a fun pumpkin. Best of all there’s no mess involved,just easy to create fun. 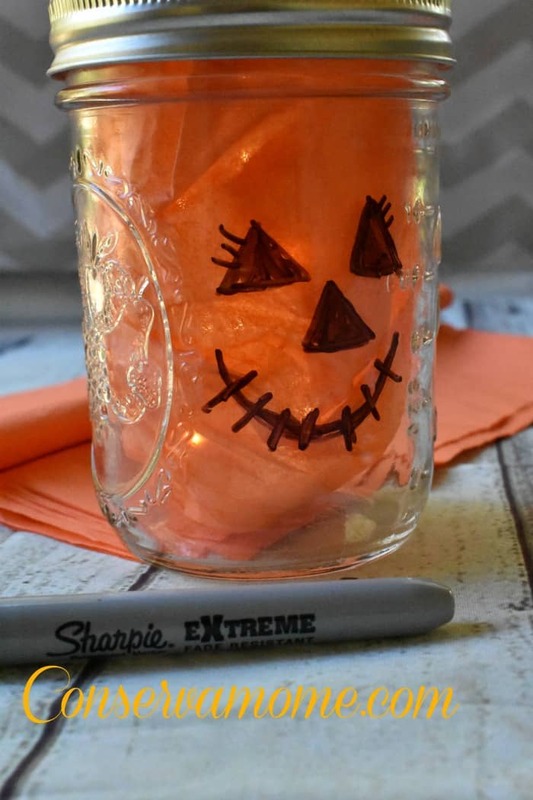 Once you’ve drawn on the face cut out a piece of tissue paper and place inside mason jar creating a reservoir inside so all the sides are covered with tissue paper. Add the LED Lights (I suggest buying a pack of these battery powered lights). And you’re ready to light up the Fall nights. 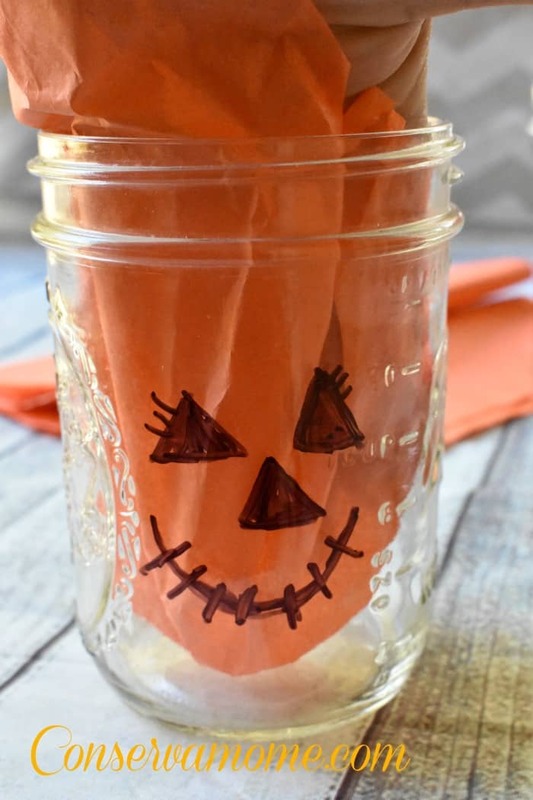 Best of all it takes minutes to create making this a fun family craft or idea to for a fun fall gathering. Thanks to Sharpie your pictures won’t fade and you’ll have a fun creation that will last you years to come. I love lining these by my door or on my fire place. 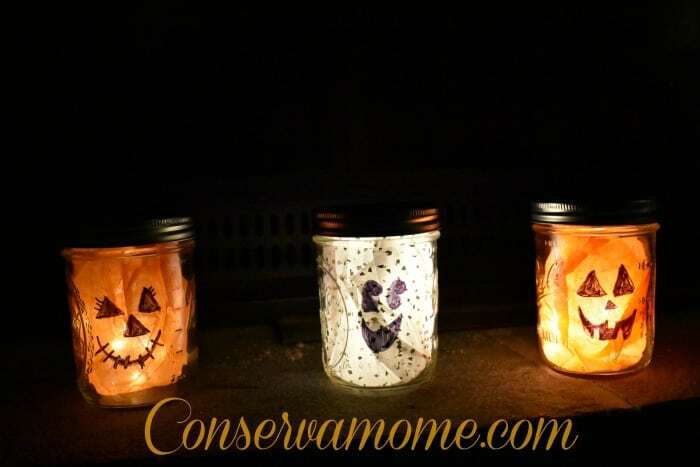 They give off a perfect glow welcoming in fall fun. Make sure and check out this new line of Sharpie markers at your local retailers.